Emmett Johns founded Dans la rue in December 1988. 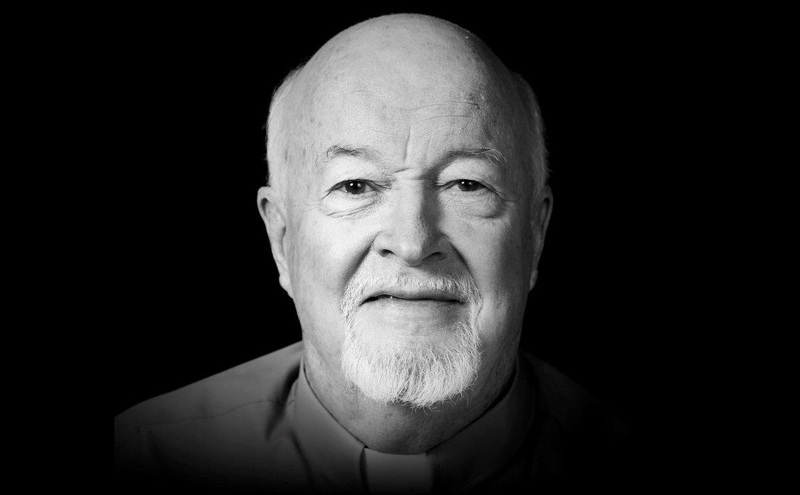 Emmett Johns was born on April 3,1928 to Irish parents and grew up in Saint Agnes Parish on the Plateau Mont-Royal. After graduating from high school, as the war was ending in 1945, he found that his original dream of becoming an air force pilot was no longer an option, so he followed his other dream and entered the seminary. Dans la rue has grown since its creation in 1988, with the opening of the Bunker overnight shelter and the Chez Pops day centre. Today the organization has a team of 70 employees and over 150 volunteers. Pops passed away peacefully on January 13th, 2018 at 89 years old. Dans la rue’s mission remains strongly rooted in Pops’ philosophy of dedication, empathy, and respect. His enduring legacy is one of acceptance without judgement and this legacy will continue to inspire and to guide the staff and volunteers at Dans la rue as they carry on his important work.